Fr. Demetrio, daughter Irene, matushka Hanna hope you can help them continue serving the Church. Matushka Hanna is one of those wonderful women who totally supports their husbands. When she found out that her husband was going to be ordained into the priesthood, she was extremely excited. “This is what you need to do!” she told him. The couple’s plan was simple: Fr. 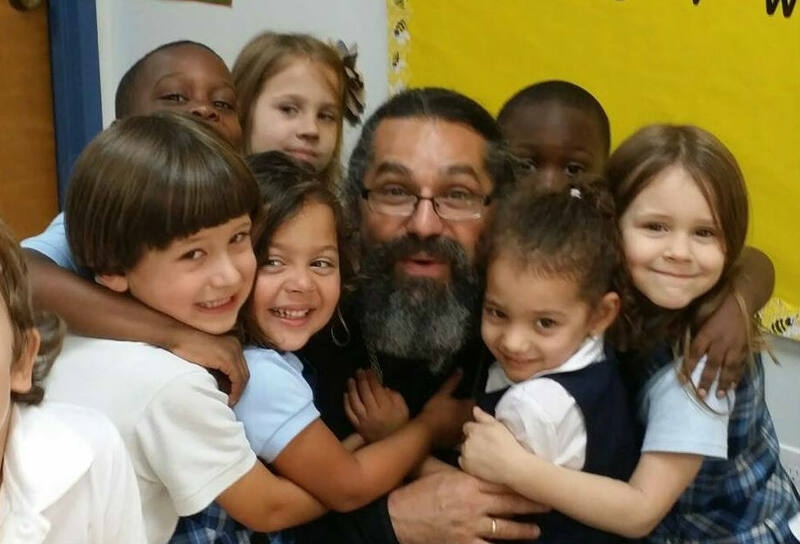 Demetrio Romeo would get ordained and continue working pro bono full-time at the only Orthodox School in the area. Matushka Hanna would toil on for a few more years at getting her Ph.D. in molecular epidemiology. The future seemed bright and easy: a Ph.D. would allow matushka Hanna to get a permanent teaching position, that would provide not only the family, but also their small parish with a steady income. But three weeks after Fr. Demetrio’s ordination, matushka was hospitalized with strange pains. If you can't help Fr. Demetrio, he will have to leave Paideia Classical Academy students. Fr. Demetrio has only been a priest for two years, but his contribution to our Church has been very large. He has devoted two years of his life and all of his considerable energy to serving for free as a chaplain and teacher at the St Luke the Blessed Surgeon chapel at the Paideia Classical Academy in Coconut Creek, FL. This is a wonderful school that accepts any children, not just the Orthodox, and teaches them according to the doctrine of our Church. Many teachers either work on a much-reduced salary, or volunteer their time completely like Fr. Demetrio. “We believe this is right to do for God,” Fr. Demetrio said. The small chapel where Fr. Demetrio serves, had only 6 parishioners when he first started serving there. Today they have around 25 people on Sundays. Some of the school families converted to Orthodoxy once they saw the effect the school had on their kids. The students attend prayers every morning, and liturgy three times a week. There is Bible study, faith classes, and a requirement is to participate in the choir. Some children have come to love singing Orthodox liturgical hymns. To continue working full-time at the parish and school, Fr. Demetrio needs your help. Recently Matushka Hanna has been hospitalized again. This means that she might not be able to go back to work full-time any time soon. It is also possible that her dreams of getting a Ph.D. and giving most of her income to the parish will never turn into reality, or will be delayed indefinitely. Fr. Demetrio will have to find a secular job and give up at least part of his duties at church and at the school. This is why I’m asking you for help. 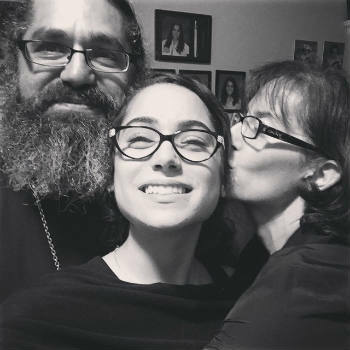 If Father Demetrio and Matushka Hanna do not receive financial support, he will be forced to look for full-time employment and likely default on his mounting medical bills. He will no longer be able to devote the attention the parish needs, and he will be forced to no longer be a part of the lives of the school children he interacts with weekly. The children will no longer have weekday Divine Services, and they will be deprived of the spiritual education they now receive from Father Demetrio. We owe it to our priests to come together to support them as they are close to God by grace and they intercede for us at every divine service. If you send a donation today, you will allow Fr Demetrio to pay off some of his wife’s medical expenses and to be relieved of some of the emotional and material burdens heavily weighing down on him at the moment. He will remain focused on the children at the school, the spiritual lives and needs of his parish of 30 people. If Father Demetrio is forced to think about the mundane cares and stress of this life, he will be unable to prepare souls for the other. Please, consider helping this amazing couple at their moment of need! God willing, in a few months, this difficult time will become a distant memory for the Romeos, and matushka Hanna will get better and keep working on her generous plan to benefit our Church. 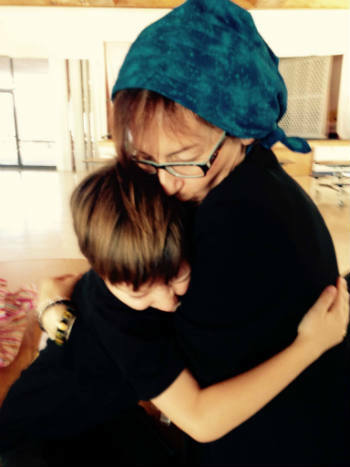 But while matushka is sick, I am asking you to show her the generosity that she has shown her Church. Please, help today. If you cannot – please pray for Priest Demetrio and Matushka Hanna. They need your spiritual, as well as monetary support. P.S. Every day that goes by, there is less and less chance for Fr. Demetrio to continue working full-time for our Church. Please donate now.